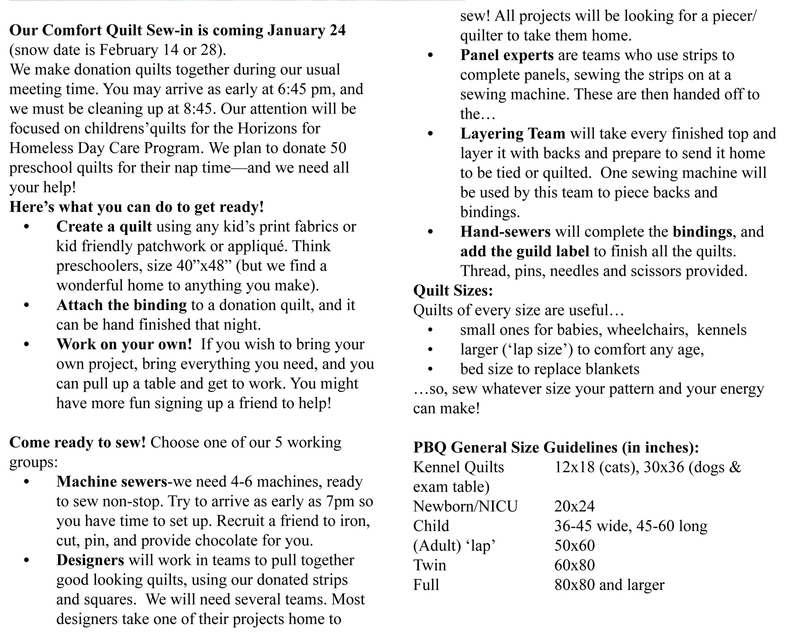 Quilt-a-thon on January 24, 2018 - Details and Preparations are here. Size questions? 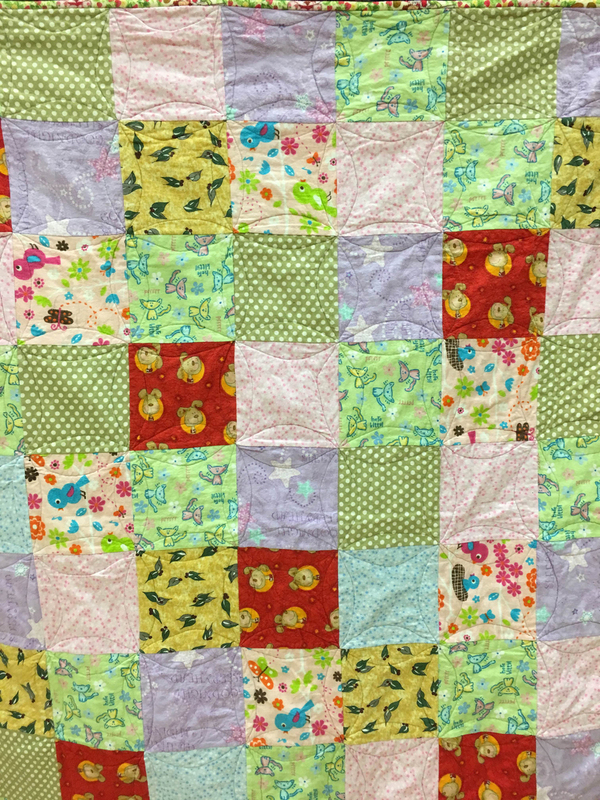 PBQ is looking for twin size quilts 72 x 90 for the Martha Elliott shelter or lap/crib 40 x 60. The bottom line: If you made something and want to donate it, Kace W will find a home for it! I wanted to express my thanks, and the thanks of the staff and animals at the Boston Animal Care and Control Animal Shelter. I am a part-time veterinarian providing services at the shelter. The pads are so beautiful and colorful, they really brighten up the animal enclosures and make them more comfortable. The vet department especially likes the larger size pad (about 2.5 feet by 3 feet), as it fits the treatment table perfectly. Thank you for your beautiful work and for sharing it with us and the animals. I have attached a picture of Nugget, a little black kitten enjoying his pad, as well as the pad that works so well on the treatment table. Nugget was brought in as a stray, and is going home with his finder today. He was more comfortable during his stay thanks to the Proper Bostonian Quilters! 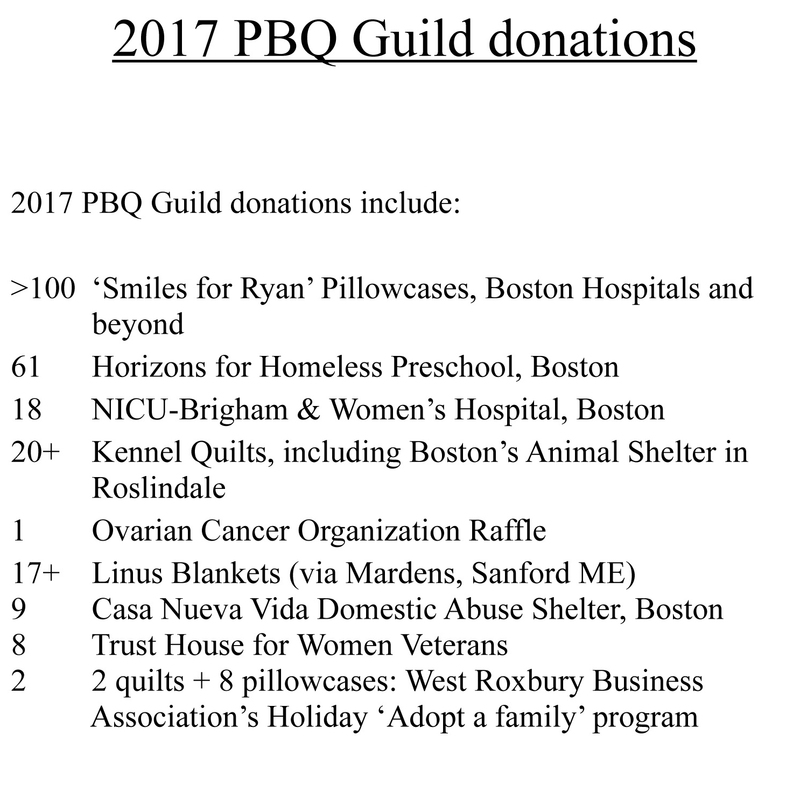 Also, PBQ is supporting the Quilts for Brigham and Women's Neonatal Intensive Care Unit effort. See the details here. I recently had the pleasure of meeting with Kace W, who shared amazing quilts from the Proper Bostonian Quilters guild with the VA Boston Women’s TRUST House program. Our Veterans absolutely loved the quilts, and the touching stories behind each quilt, and want to know if they could send a thank-you card and a picture of them with the quilts they selected. If so, is there an address to which I could mail their card? Thanks very much for your support our of program and our Veterans! Kace gave an update on our charity quilt projects. o Pre-school nap quilts in the 40"-50" range are needed. § We give them to a variety of places including Judy K's organization for homeless day care children and Project Linus. o quilts in all sizes from baby to adult. § Case Nueva Vida in Jamaica Plain. § We are also committed to providing quilts to our service men and women through the Veterans Administration. Quilts with a red, while, and blue focus are particularly appropriate, but any color-way is appreciated. § A suggestions was made that if we make an extra Block of the Month in patriotic fabrics each month, at the we'll have a good start on a patriotic sample quilt by the end of the year. Kace brought lots of fabric for the taking to make charity quilts. 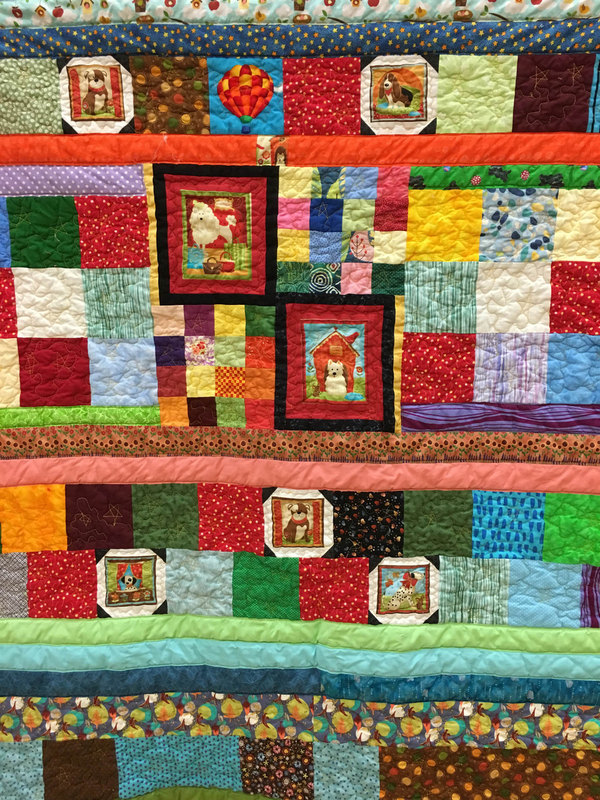 Bring these quilts in for show & tell before sending them off to these organizations. 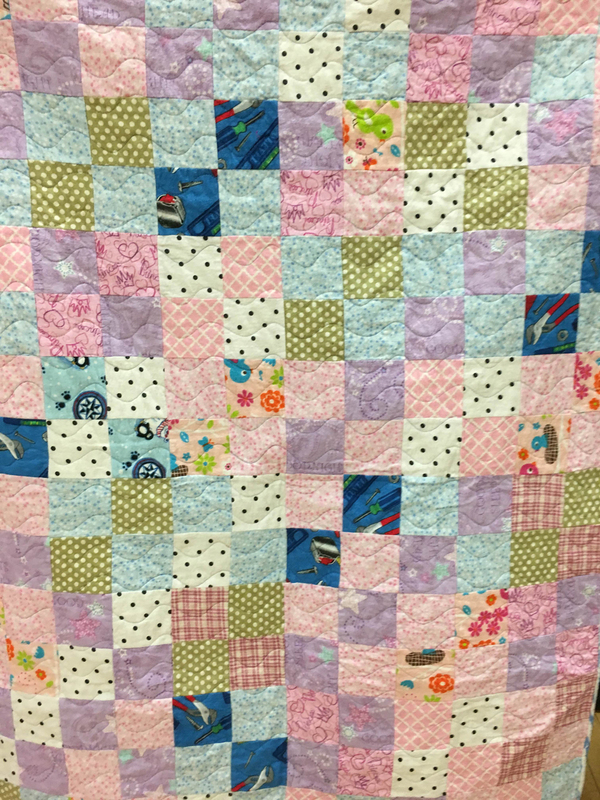 Charity Quilts - September 14, 2016 - Two quilts submitted. Three additional quilts were donated on May 25th for people affected by the forest fires. Thank you Judy T for arranging to gather and send all of the quilts and mats including these: 4, 5, 6. 3 quilts and the dog crate mats 24 x 36" were donated. You can see these quilts 1, 2, 3 and dog crate mats online. Also, Jeanne S. makes and has donated Wheelchair quilts with pockets! See both online. This thank you note was received from the Putnam Children's Community Center in response to quilt donations from the members of PBQ. 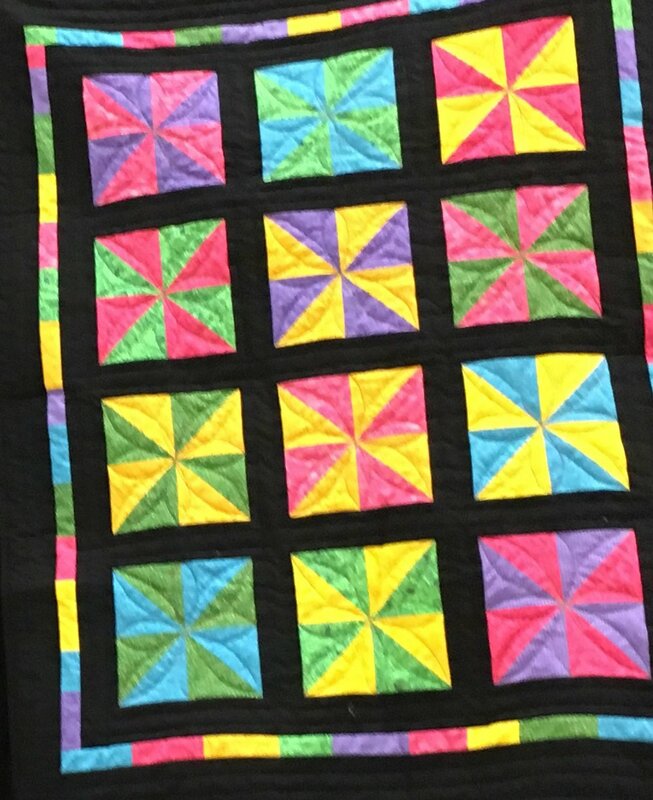 Resulting quilts can be seen here at the Charity Quilts Workshop Quilts page for February and at the Charity Quilts for March page. Quilts made for The Horizons for Homeless Children Preschool. The last one shown is one of five basketball quilts made for children in foster care.